We celebrated my brother's birthday at Cafe Jeepney in Hotel Intercontinental Manila weeks ago (celebratory outfit here), but I'm only able to post it now. You see, I'm still adjusting to more responsibilities assigned to me at work and going to Taiwan for a short family vacation last week didn't help either. I'm now swamped with papers! I also have so many backlogged posts of other restaurants and foodie places you can visit, so I hope you can be patient with me. Anyway, let's move onto the more interesting part. Food photos! 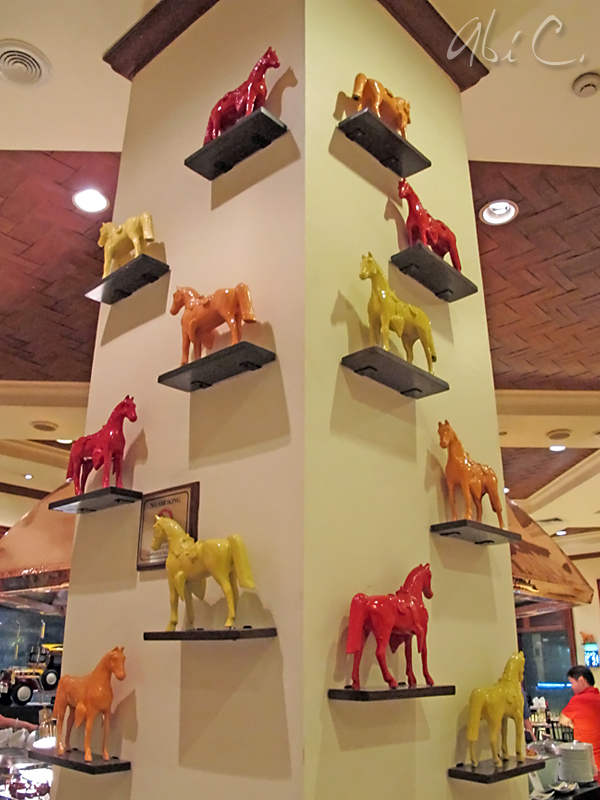 A bit of Philippine history trivia I learned from researching for a paper during my freshman year in university. 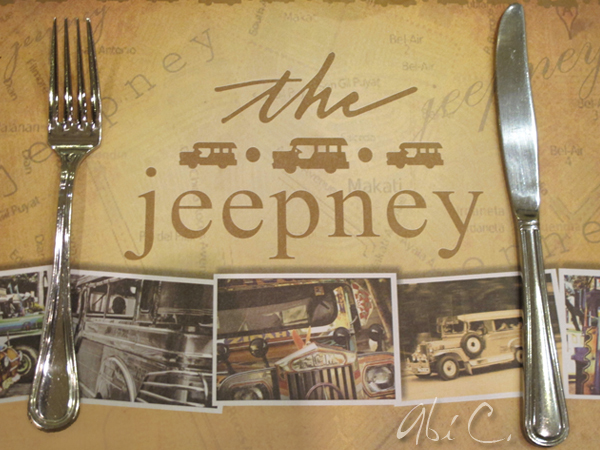 Although Jeepneys are by-products of surplus American Jeeps, they allude to a horse-drawn carriage called a Calesa, which were the main form of transporation in the Philippines back then. 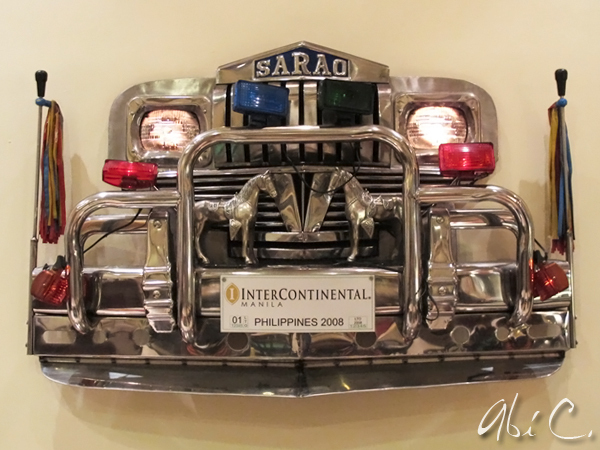 This is why you still see stainless steel horses on the hoods or bumpers of most Jeepneys today. Marinated meats and seafood ready for grilling. The liempo and salmon steaks were of note. They arrived at our table smoking hot and delicious! The Japanese station only held a few items, but the tuna and salmon sashimi were a-plenty and best of all, tasted fresh. Leafy greens, crispy croutons, Parmesan cheese, bacon bits and creamy dressing. 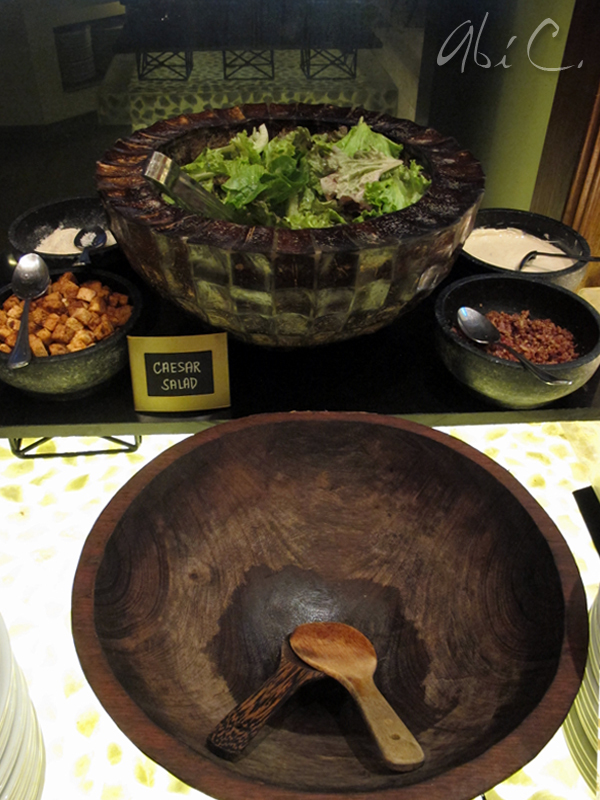 The do-it-yourself counter for the Caesar salad. 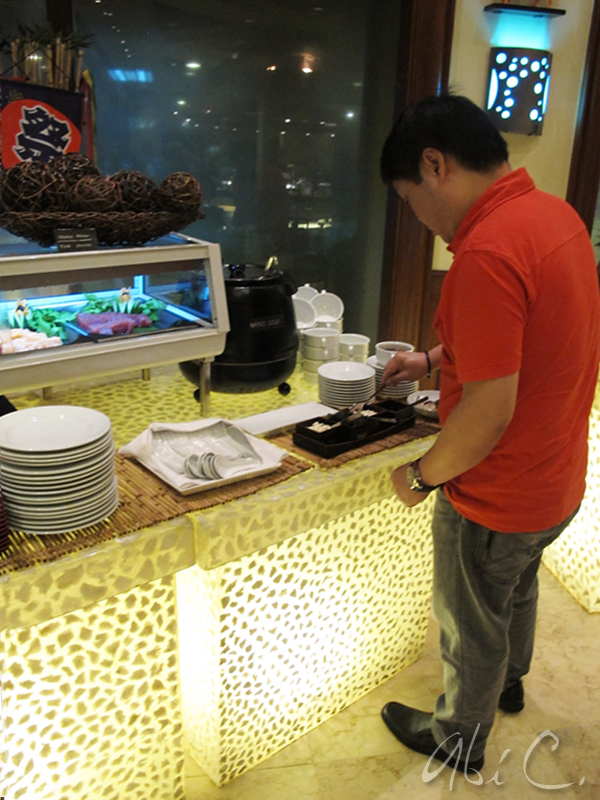 They offered two items for Chinese dimsum, the siomai and the asado siopao. Right beside it are two cauldrons of hot soup. 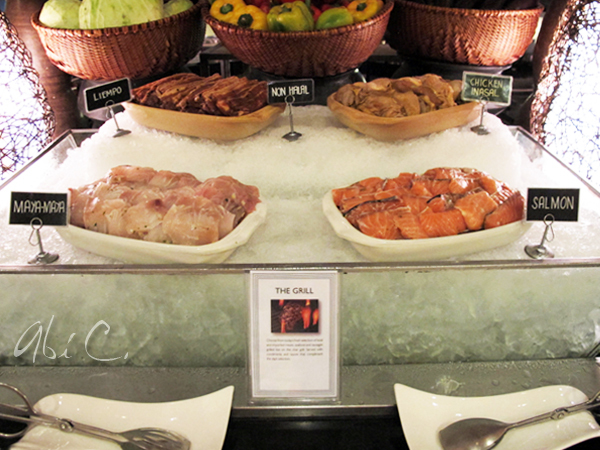 I tried the Sinigang that sang of sour Tamarind and big, albeit overcooked, prawns. 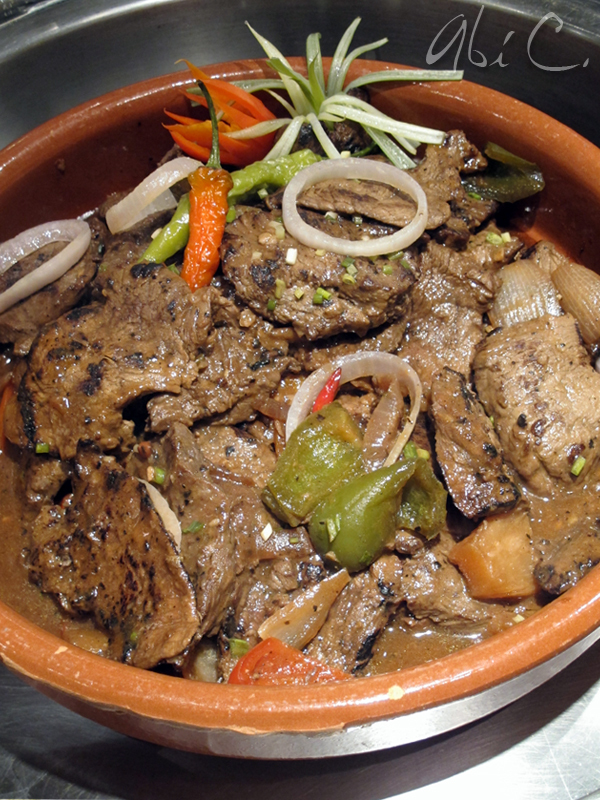 These Beef Steak Tagalog dish had me going back for seconds and thirds! It had just the right balance of salty-sour-sweet goodness reminiscent of the home-cooked Filipino dishes grandmas are known for and had me looking for plain rice to eat it with. I had to pick the thinner sliced pieces from the chafing dish though, because they weren't all as tender. 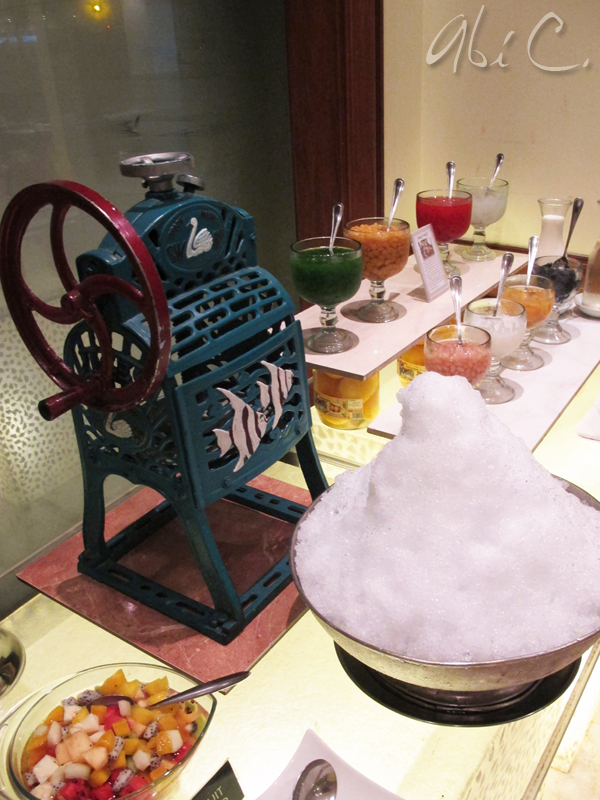 What's a Filipino-themed buffet without the ubiquitous Halo-Halo? I was looking forward to this sweet ending, but was a little disappointed by it. They served fresh milk instead of the creamier evaporated milk and didn't have any ice cream to top it with. Now this is dessert! The Crepe Samurai (is it even Japanese?) 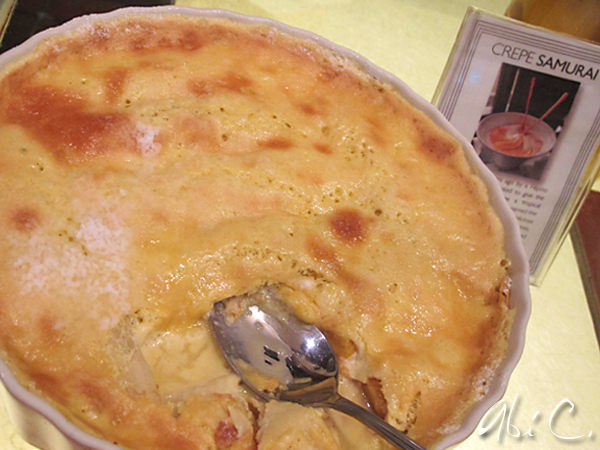 is a fusion of sorts--fresh and sweet Philippine mangoes bathed in a custard sauce, topped with soft crepe and baked to golden perfection. Delicious, but bordering on overly sweet. 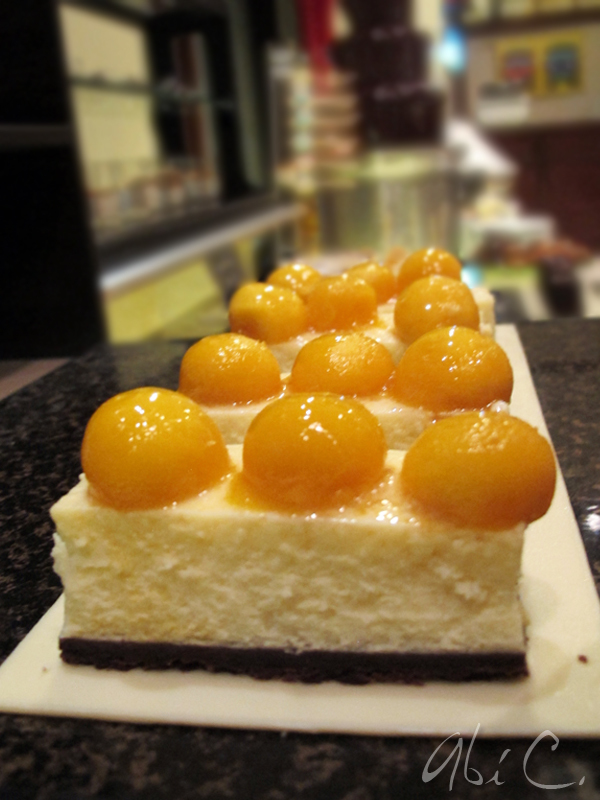 If you still don't know, I'm a cheesecake aficionado, so I'm quite critical of cheesecakes that I eat. 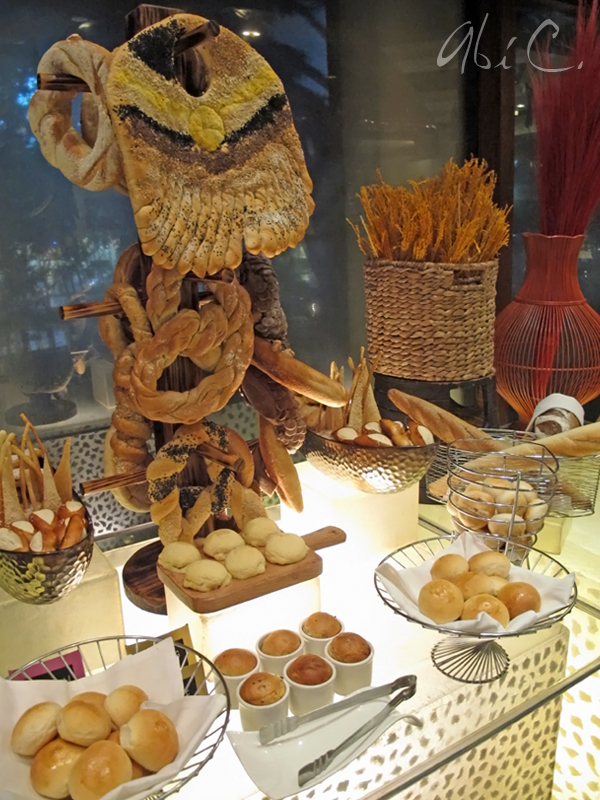 (Feeling food critic lang!) I'm glad to tell you that this one passed the test! It had just the right density and cheesecake flavor, which means they didn't scrimp on good ol' cream cheese. Alas, here we are. 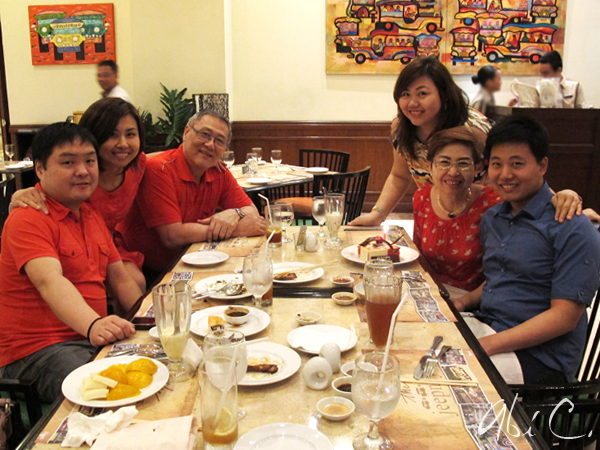 The happier and much-heavier bunch of foodies after the buffet invasion. All of that food look so delicious. What a wonderful way to spend a birthday.